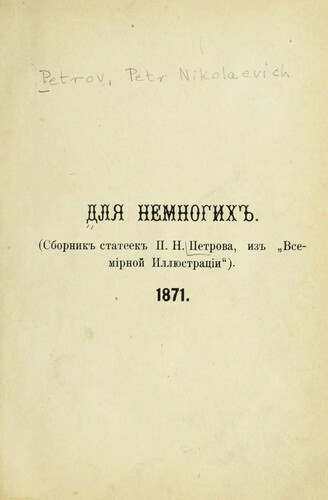 1 edition of Dli︠a︡ nemnogikh found in the catalog. Add another edition? Published 1871 by s.n.] in [S.-Peterburgch . February 16, 2019 Created by ImportBot Initial record created, from Internet Archive item record.